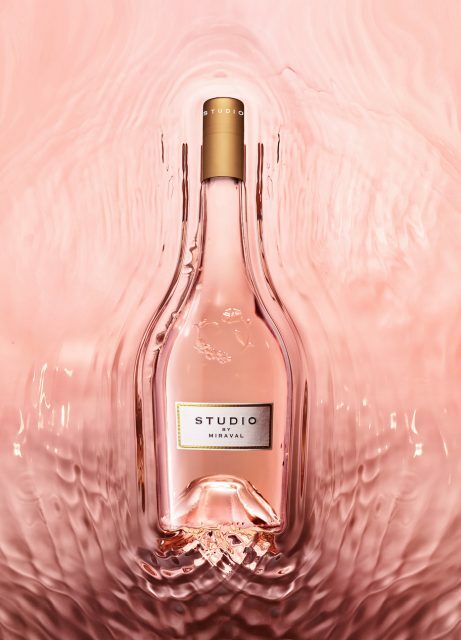 Château Miraval, which is still co-owned by Hollywood actors Brad Pitt and Angelina Jolie, has announced the launch of a new rosé to join its established Miraval Rosé, launched in 2012, called ‘Studio by Miraval’. Studio by Miraval will be launched globally on 5 March, with its name taking inspiration from former occupant of the chateau, jazz musician Jacques Loussier. Loussier owned the estate in 1977 and built a recording studio, which remains to this day, where international artists such as Pink Floyd, AC/DC and Sade recorded music. In keeping with Miraval’s minimalists, perfume-esque bottle, Studio by Miraval will be housed in a slightly slimmer bottle. Described a “non-conformist and laid-back rosé”, the wine itself is a blend of Cinsault, Grenache, Rolle and the lesser-known grape Tibouren, and is made in partnership with the Perrin family of Château de Beaucastel, as is the estate’s flagship Miraval Rosé. “This new rosé will be the common thread linking a location, a legend, a legacy, and, above all, a love of art,’ a statement released by the chateau state, and will stand as an “ode to the sublime Mediterranean and its incomparable ‘art de vivre'”. Despite separating in 2016, the couple still jointly own the estate in Provence, and last year launched the sixth and “best” vintage of their Miraval rosé, made from a blend of Grenache, Syrah, Cinsault and Rolle. Pitt and Jolie bought the 500-hectare Miraval in 2011 for a reported $60 million. The estate spans the Côteaux Varois-en-Provence and Côtes de Provence appellations. Its first 6,000 bottles of Miraval Rosé 2012 sold out in five hours. No price for the new wine has been confirmed.